This itinerary comprises of a 3 days 2 night tour to the Pearl of the Orient, the ever happening island of Penang. The island’s rapid growth and development has made it one of the most popular sites in the country, welcoming millions of tourists around the world. From world class beaches to shopping malls, to ancient historical landmarks to an array of mouth watering cuisine, this island destination is one do not want to miss out on. Embrace the colourful nature of its people and this fantastic destination that has made its mark as a top destination in South East Asia. Arrive in the early morning in the capital of the state – Georgetown. Proceed for a check in at the hotel, and have the rest of the day to your own disclosure (free-and-easy). Head out for a food hunt at the myriad of restaurants offering sumptuous cuisine from in and out of the state. Savour the famous Penang Curry Laksa, Fried Flat Noodles (Char Kuey Teow), Prawn Noodles and much more. Then, visit the Pinang Peranakan Mansion. These prominent characters and icons to the history of Penang were known also as the Baba and Nyonya, a unique blend of Chinese and Malay lifestyles, infused into one. They adopted the gentle ways of the Malays, and created a unique way of life that has left behind traditionals, costumes, food and even languages distinct to the other races in the country. Visitors can take a glimpse into the everyday lives of the Baba and Nyonya, and gaze at the numerous artefacts and relics on display. The structure itself is a unique one, with foundations of carved wooden panels, English tiles and Scottish iron-frames – this is truly a heritage site to behold. 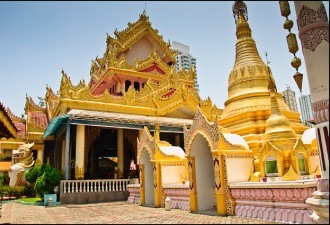 As the journey presses on, visit the next interesting landmark – the Dharmikarama Burmese Temple. This holy place of worship is the only Burmese Buddhist Temple outside of Myanmar, and is distinguishable by the two stone elephants that adore its front gates. Visitors can find a Bodhi Tree in the inner courtyard, which was believed to be the very tree that Buddha sat under when he gained enlightenment. Marvel at the architecture and be amazed by the detailed woodwork and craftsmanship. Visitors can also pray for blessings in the wishing pond, as well as see the walkway with vivid depictions and illustrations of the life of Prince Siddharta and the journey towards enlightenment. After that, head over to the Khoo Kongsi, or a large clan-house that boast vivid and opulent Chinese architectural designs. It stands as a symbol for the dominant presence of the Chinese in penang, and is known as the grandest clan house of worship on the country. Retaining most of its original setting, the house features many galleries and hallways, a perfect spot for visitors to gaze upon its beauty and charm. The night doesn’t end here, and visitors will be lead on to the famous Gurney Drive – which is home to Penang’s largest gathering of flavours and appetizing meals you’re your selection. The Gurney Drive Hawker centre houses the most mouth watering eats there is to offer in the country – including the famous Curry Laksa, Asam Laksa, Prawn Noodles and many more. Tingle your taste buds and let your palette drown in ecstasy. After dinner, enjoy a leisurely walk along the beach, and feel the cool breeze caress your cheeks. 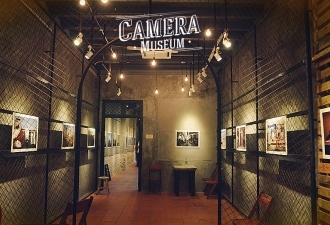 After breakfast, proceed to the Camera Museum to see a wide collection of vintage cameras and antique films. The landmark will be the highlight for many photographers and camera enthusiasts, as it houses the rare Rolfix camera, as well as many other creative photography pieces from different exhibits. It also showcases a variety of vintage cameras, lenses and accessories. Since its debut, the museum has attracted numerous visitors from around the world. Then, walk on to the numerous streets to see the vivid and lifelike street art by the iconic artist, Ernest Zacharevic. Each art is distinct in its own form, like the portrait of Mr. Ng Chai Tiam and Little Children on a Bicycle, in Armenian Street; The Little Girl in Blue in Muntri Street, Georgetown; and the Awaiting Trishaw Paddler at Penang Road. Each mural showcases the Malaysian lifestyle and culture, and gives the town a new breath of life. 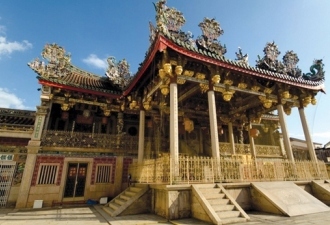 After lunch, visit the Kek Lok Si Temple – the centre of spiritual and ritual essence in the heart of Penang Island. It is also known as one of the largest religious structures in South East Asia – and has attracted millions of faith-seekers from all around the world. The temple is distinct via its golden pagodas, landscape decorated pavilions, a famous coy-fish pond and numerous statues of Buddha. The main highlight of the temple is a gigantic bronze statue of the Goddess of Mercy – Guan Yin that takes the centre of attention and blesses all who visit the temple. Marvel at the glorious architecture, and admire the expert craftsmanship in the grand temple. Right after, proceed with an escapade towards another famous landmark – the Penang Hill, or locally known as Bukit Bendera (literally Flag Hill). 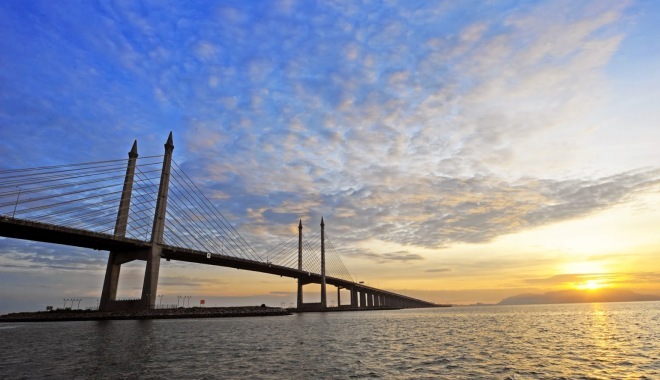 Towering at 830 metres above sea level, it is here that you can admire the scenic view of Georgetown, the state capital of Penang from the peak, the grandeur of the island as well as the magnificent Penang Bridge, the fifth longest bridge in South East Asia. Getting there requires an exciting cable car ride, which has only recently been refurbished. The cable car trail does not take you all the way to the peak of the hill however, and it requires several detours across various smaller stations as well as an interim transit train. At the peak, you will find various stores for your comfort – a wonderful tea shop, some restaurants to feed your yummy, trinket and souvenir shops, the Bellevue Penang Hotel and for the more religious, there is also a Muslim Mosque and Hindu Temple that showcases Malaysia’s melting pot of religion and culture. After breakfast, start the journey with a visit to the famous Snake Temple, known to the locals as the Temple of Azure Clouds. 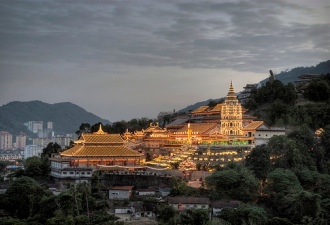 The temple was constructed in 1850 in honour of a highly respected Buddhist priest, Chor Soo Kong, who was highly revered by the people of Penang for his legendary healing abilities. It is the only religious establishment in the world to have featured poisonous pit viper that roams freely around the temple’s altars and pillars. Then, take a step back in time and visit the Penang War Musuem. Commemorating the days of the Japanese Occupation, military fort was once used by the Japanese as an operations base, and has today became a haunting history of torture, violence and horror for visitors. Covering over 20 acres of land, the entire grounds span outward including hidden tunnels, an infirmary, bunkers, logistic centres and sleeping quarters that have been long abandoned. Take a walk and see the cannon bays used to defend against enemies form the sea, and squeeze through the tight corners and narrow confined spaces within the tunnel grounds. After lunch, pack up and head home, as you bid farewell to the historical and serene island of Penang.